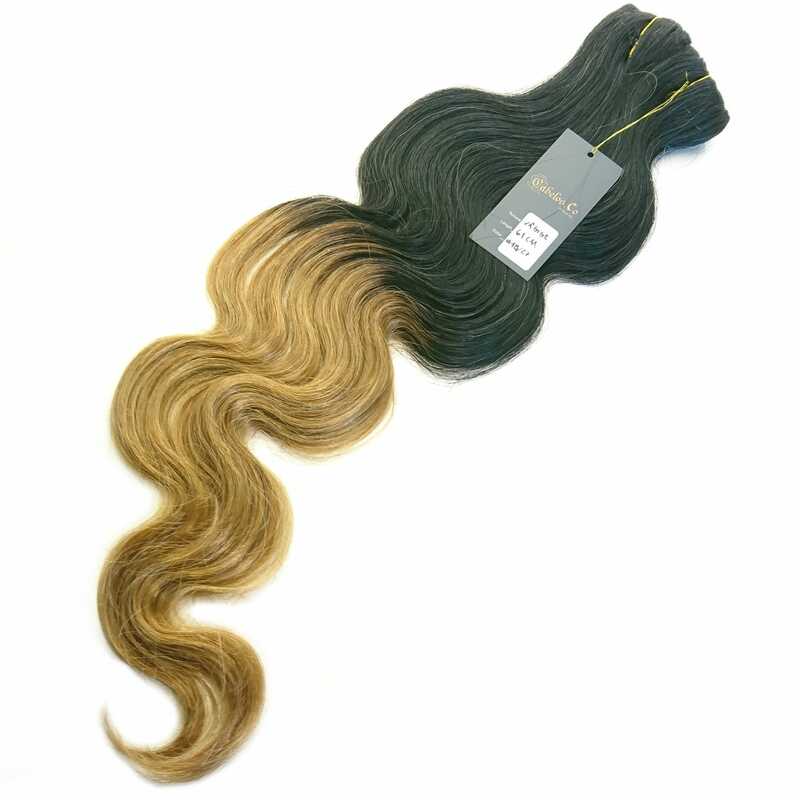 This Clip in Brazilian hair extensions is vågigt, ombre color number # 1B/27. The length of the hair is 50cm and weight is 100 grams per package. 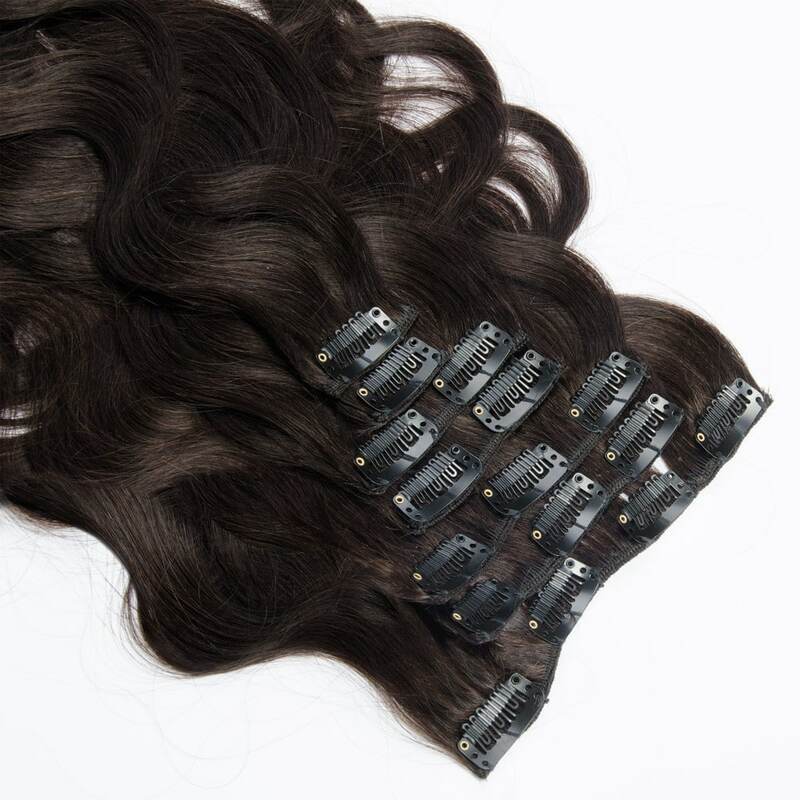 This Clip in Brazilian hair extensions is body wave, ombre color number # 1B/27. 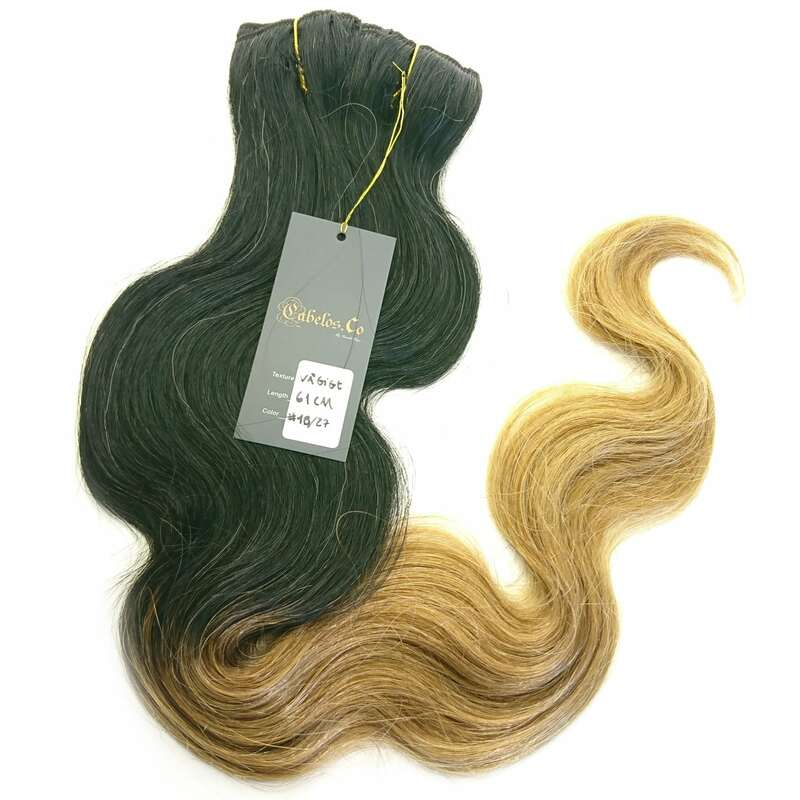 The length of the hair is 50 cm and weight is 100 grams per package. This is 8 parts clip in hair extensions and each part consists clips that is approximately 3.5cm large. A total of 16 clips distributed on seven parts.